Awesome. 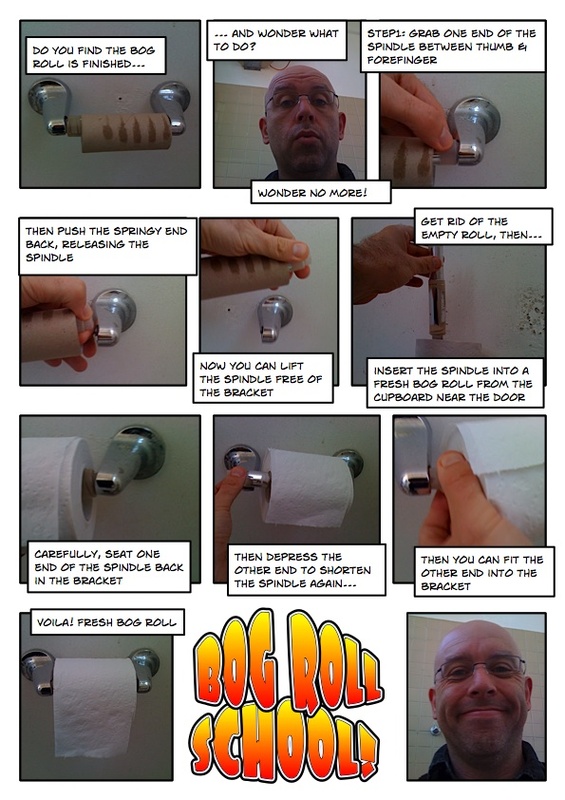 I wish I had had this many years ago when I had a roommate who was paper roll deficient. It drove me nuts. Especially when she just placed the new roll balanced on top of the empty one. What is up with that? When I couldn’t stand it any longer, I finally asked her if she if she didn’t know how to change it or if she was just a lazy-@$$. It was option B. But rolls were replaced after that. Damn! You’re right. Here comes edition #2, thanks Martin. Everyone’s pretty well sustainability trained, though.